Neighbours, friends, doctors and colleagues. We see them every day. We trust them implicitly. But what about the British army sergeant who sabotaged his wife’s parachute? Or the lodger who took his landlady on a picnic from which she never returned? From dentists to PAs, these normal-seeming people were quietly wrecking lives, and nobody suspected a thing. 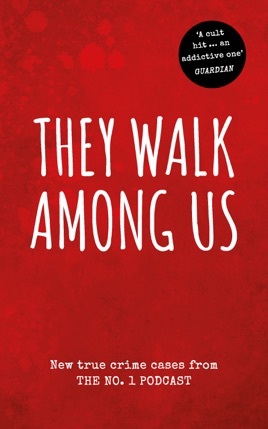 In this first book from the addictive award-winning podcast They Walk Among Us, Benjamin and Rosanna serve up small-town stories in gripping detail. They’ve hooked millions of listeners with their intricate and disturbing cases, and now they dig into ten more tales, to provide an unforgettably sinister true-crime experience, scarily close to home.